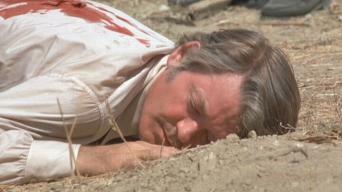 They Only Kill Their Masters (1972) [Watkins]: Shot in the back by Harry Guardino as Hal tries to escape. Magnum Force (1973) [Lieutenant Neil Briggs]: Killed in an explosion when he drives off in Clint Eastwood's car, after Clint had activated the bomb that had been meant for Clint. Fletch Lives (1989) [Ham Johnson]: Shot in the chest by Cleavon Little after Hal pulls his own gun in the middle of R. Lee Ermey's television broadcast.